Lillian Thibodeau, age 93, of Faribault, MN, passed away peacefully on Saturday, October 21, 2017, at her residence at Pleasant View Estates in Faribault. Mass of Christian Burial will be held on Thursday, October 26, 2017, at 10:30 a.m. at the Divine Mercy Catholic Church, 139 Mercy Drive, Faribault. Interment will be at the St. Lawrence Cemetery in Faribault. 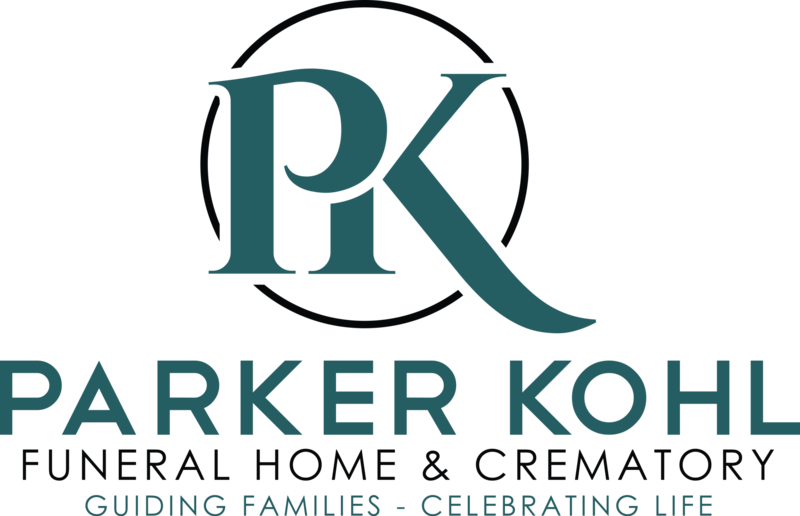 Visitation will be held on Wednesday from 4:00 - 7:00 p.m. at the new location of Parker Kohl Funeral Home, 1725 Lyndale Ave. N., Faribault, and on Thursday for one hour prior to the services at the church. 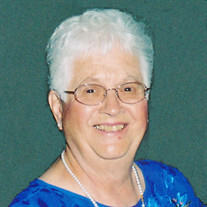 Lillian Lenore was born on October 19, 1924, in Forest Township, Rice County, MN to Joseph S. and Emma (Sevcik) Machacek. Her father brought her by horse and wagon to Faribault to stay with her grandparents and attend catholic elementary. She later graduated from Faribault High School with the class of 1942. At a young age, Lill played the accordion and along with her sister on the saxophone and father on the drums, they entertained many at wedding dances and other occasions. She was united in marriage to her high school sweetheart, Stuart E. Thibodeau on November 15, 1945 at the Immaculate Conception Catholic Church in Faribault. While Stu was serving in the Army during WWII, Lill used her talents in sewing while working for the Faribault Woolen Mill sewing mittens and later for Ochs Department Store sewing draperies. She started a town chapter of 4-H to introduce sewing to her daughters. Stu and Lill worked together tirelessly for 40 years in their business, Thibodeau Insurance Agency. Their office was headquarters for ¬Rice County Families: Their History, Our Heritage, as they collected and Lill proofed its numerous entries. The book, 800 plus pages, was published in 1982. They've also helped plan numerous F.H.S. class reunions through the years. They enjoyed camping vacations and National Park sojourns with their young family. After the kids were grown, Stu and Lill expanded their traveling vistas on bus tours in America, and overseas trips to Austria, Australia, China, Germany, Czechoslovakia, Ireland, the Holy Land and Portugal. In Chile, they visited the parents of their delightful Foreign Exchange student, Ginny Paredes, who became an honorary family member after her school term in 1969-70. After retiring from their insurance agency, Stu and Lill spent ten winters as snowbirds in Mesa, AZ until health concerns precluded such extended travel. Their children and grandchildren all have fond memories of working with their grandparents at Thib's Popcorn Stand every year during the Rice County Fair. Lill was always busy trying to keep up with the demand for her homemade Neapolitan ice cream sandwiches! Lill volunteered in numerous capacities to support the Catholic Community. She was past president of the Bethlehem Academy PTA, ninth grade Catechist, lector, choir member, CCW member and officer, and Cursillo rector. Lill was recognized for volunteerism in Faribault as Citizen of the Year in 1978. She is survived by three children, Gregory (Debbie) Thibodeau of Faribault, JoAnne (Steven) Knuttila of Detroit Lakes, MN and Barbara (Larry) Timmers of Fountain Hills, AZ; her honorary daughter, Ginny Parades of Fountain Hills, AZ; son-in-law, Allen (Debbie) Saunders of Hastings; nine grandchildren and 17 great grandchildren; sister, Addie Winslow of Kansas City, MO; and many other relatives and friends. She was preceded in death by her husband, Stuart on May 6, 2012; parents, Joseph and Emma Machacek; and daughter, Jeanne Saunders.